The popular youth sledding hill in the Town of Beech Mountain is once again open for the winter season. The hill provides free sledding daily for children 12 and under. Sledding conditions are usually favorable thanks to a combination of Beech Mountain's high elevation (5,506 feet) and a snow gun for blowing the white stuff when Mother Nature isn't. 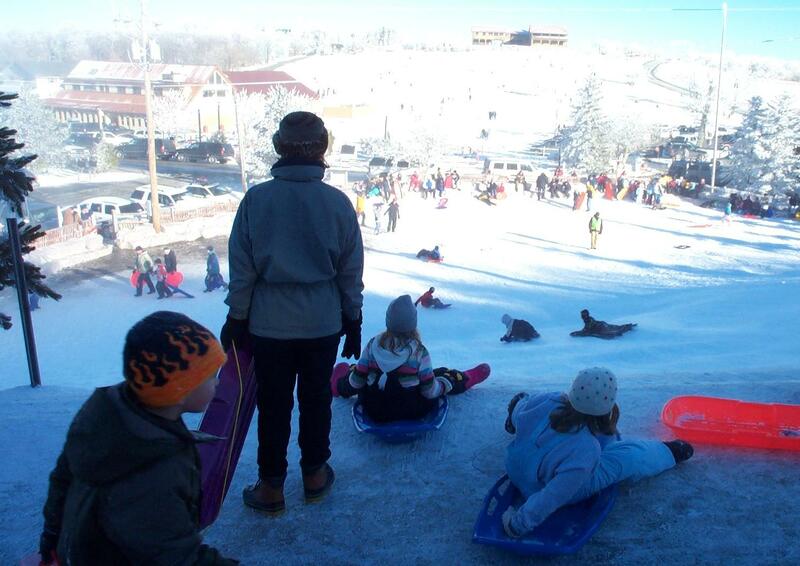 The sledding hill is located next to the Chamber of Commerce in the heart of Beech Mountain. It's operated by Beech Mountain Parks and Recreation Department and open 9 a.m. to 5 p.m. (weather permitting) with safety personnel on duty. A loud speaker plays music and hot chocolate is available at nearby restaurants. Plastic sleds are required. Folks may bring their own, or sleds are available for rent or purchase at nearby stores on the mountain. Parking and restrooms are provided by the chamber. People are encouraged to call the chamber at (800) 468-5506 to receive live updates on sledding conditions. 'We provide real-time updates on sledding conditions," says the chamber's John Troxler. "All we have to do is look out the window." Additional info on the Beech Mountain sledding hill is available at: www.beechmtn.com.